as a side event to the conference „The OSCE as Mediator“, organised by the German OSCE Chairmanship. The training is conducted by two experienced trainers from the Berghof Foundation and offers students and young professionals the opportunity to better grasp and experience the concept of peace mediation. Why do you want to participate in the training? Why do you think peace mediation is important in foreign policy? Please also indicate whether you have already participated in a mediation training (it is no requirement for your participation). Why should we learn how to mediate? The Review 2014 process of the German Federal Foreign Office identified civic conflict transformation, including peace mediation, as one of the new focus areas of the German foreign policy. The process also aimed at including more views from the civil society in foreign policy. The German government is currently working on new policy guidelines in order to replace the interdepartmental Action Plan “Civilian Crisis Prevention, Conflict Resolution and Post-Conflict Peace-Building” by spring 2017. 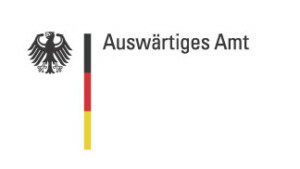 For this purpose, the German Government seeks to initiate an inclusive stakeholder dialogue around the theme of “PeaceLab2016: Moving Crisis Prevention Forward”. From July to early November 2016, multiple public events will address challenges, expectations and priorities in Germany’s engagement in crisis prevention, stabilization and peace consolidation. Despite these efforts, the interest and knowledge within the German civil society on civic conflict transformation, and especially on peace mediation, is still limited. Especially young people are lacking opportunities to get access to information and to influence strategic decisions on civic conflict transformation. The German Government thereby does not only undermine one of the most important criteria of peace mediation itself – inclusion – but does also exclude the important and innovative perspectives on conflict transformation from the civil society and from the youth. In order to change this, Polis180 will organise a one day-training on peace mediation for students and young professionals, thereby complementing the high-level expert conference “The OSCE as a Mediator” on July 6, which aims at drafting recommendations on how the OSCE can improve their engagement on peace mediation and mediation endorsment. 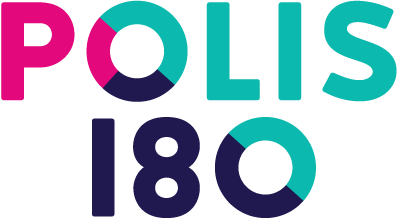 This event is the first one organised by the newly founded Polis180 Task-Force “Mediation in Foreign Policy” that is part of the Polis180 Programme Peace and Security. GET INVOLVED NOW! We are looking forward to your applications! In case of questions, please contact projekt.mediation@polis180.org at any time.